Chooka have a history of providing functional foot wear that is not only great quality but also looks great. 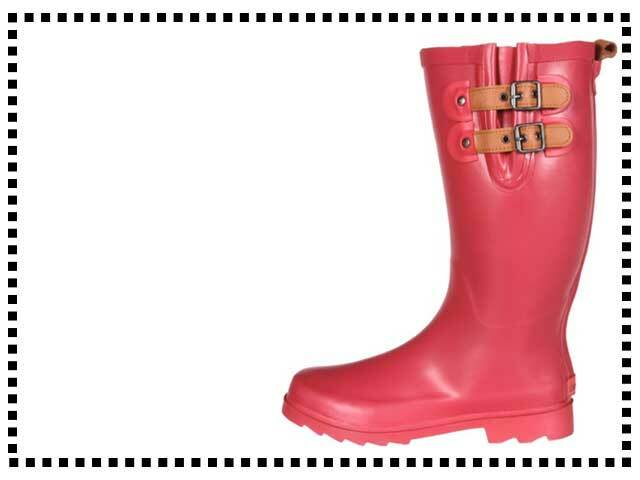 Two adjustable side straps make these rain boots are perfect for women with wider calves. This design comes in four attractive colors. Super wellingtons. The adjustable side straps are a huge bonus. I am a lady with rounder calves and these fit me perfectly. Cute boots. They do run a bit big and are not really true to size, I would go a size or a half size down. The adjustable straps are fab, I adjust them depending on what I am wearing. Very happy. I have wide feet and a wide calf size, these are one of the few boots that fit me perfectly. They look great as well. Not true to size, too big for me unfortunately. They look good though.